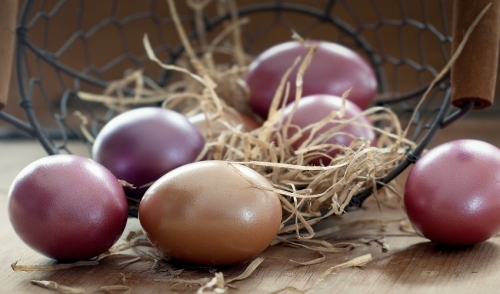 We Have Everything to Make Your Easter Party Egg-Cellent | Dansby's Taylor Rental Center, LLC. Dansby's Taylor Rental Center, LLC. No matter how you celebrate Easter – as a solemn, reverent renewal of faith, a joyful, exuberant search for the Easter bunny or a refreshing, happy burst of spring – we have everything you need to make your party eggs-tra special. Renting the right tools and equipment will not only take your event to the next level, but will also ease your mind and let you enjoy your party just as much as your guests. Tables: Different table options, including round, square and rectangular tables, can help you set the mood for your event and be sure there is enough table space. Tables for dining, buffet stations, a guestbook, artful displays, desserts and more are all available. Chairs: Your guests will all need a place to sit, and ideally you ought to have a few extra chairs on hand so there is good flexibility in seating for mingling and rearranging as needed. Different chair styles can set the mood for either a casual get together or a more formal Easter tea. Dishes: From plates to glassware to cutlery, we've got you covered for all the elegant, matching dishes you need for your party. Coordinated options will give your party easy flair, and you can augment basic dishes with bread baskets, carafes, chargers, chafers and other serving pieces. Tents: Provide a safe space protected from sun, wind or rain with the right tent style. Different sizes and finishing touches are available to turn a basic tent into an extraordinary feature for your party. Umbrellas: If you only need a bit of extra shade or weather protection, umbrellas can be the answer. Fixed and adjustable options are available and can keep your guests even more comfortable. Patio Heaters: Cool spells are common in spring, and your Easter party could be a chilly one if the temperatures dip. Portable patio heaters are the answer and provide a toasty warm space where your guests can still enjoy outdoor accents. Carpets and Groundcovers: Damp and rainy springs can lead to muddy paths and saturated lawns. Using rental carpets and groundcovers can make walking surfaces safer for your guests, as well as define pathways and dance floors or cover unsightly brown patches that haven't yet recovered after winter's abuse. Linens: From tablecloths, runners and napkins to tie-backs and sashes, the right linens can really create a lovely color palette for your Easter party. Consider one of our many pastel shades, or opt for brighter jewel-tone accents or even metallic hues for an elegant event. Décor: Transform your site from ordinary to eggs-traordinary with a variety of decorative options, including pillars, wreaths or beautiful silk floral arrangements or plants. An easel can hold a chalkboard or other informational board as well. Table Accessories: Make your tables stand out with extra accents such as matching salt and pepper shakers, elegant napkin rings or lovely cruets. Not only will these accessories help beautify your tables, but they're practical choices your guests will find useful. Chocolate Fountains: Your party will be a tasty treat to remember with a chocolate fountain. Different fountain sizes are available, and any one of them will quickly become the centerpiece of your dessert offerings when paired with bites of cake, fresh spring strawberries, marshmallows or other dippable delights. Still not sure what you need to make your Easter party perfect? We're happy to offer consultations and expertise to meet all your party needs for an easy, enjoyable and memorable event! © 2015 Dansby's Taylor Rental Center, LLC. . All rights reserved.